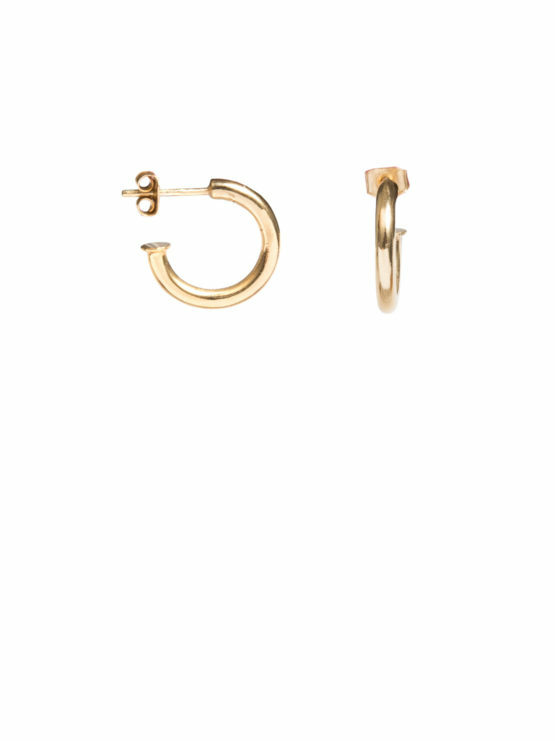 Minimal in design, these enchanting, gold plated hoops – the smallest in our collection – are an absolute style staple. Wear day in, day out for a less-is-more look. The hoop is 1.5cm in drop and 3mm thick.